After posting about the peculiar world of comedy songs recently, a few other examples came to mind, including ‘Come Outside’ by Mike Sarne (who went on to direct the Hollywood disaster ‘Myra Breckinridge’) and Wendy Richards. Similarly, Hylda Baker and Arthur Mullard produced their own gruesome take on ‘You’re The One That I Want’ from ‘Grease’ (‘If you’re filled with infection, medicate in my direction!’). Priceless! 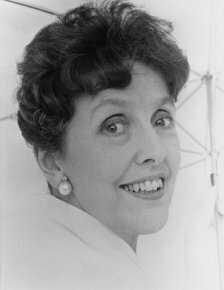 But most of Joyce Grenfell’s comic songs were gems. No-one has yet mentioned Spike Jones or even the ‘Bonzo Dog Doo Dah Band. Funny songs are a minefield; sooner or later one stumbles into very strange lands where things you thought impossible, turn out to be true. Lance Percival did give us a calypso rendition of ‘Shame and Scandal in the Family’. David McCallum intoned through the decidedly odd ‘Communication’. * A sort of Drimble Wedge/biker record crossover piece. And that Peter Wyngarde ever had a recording career, only makes sense once you learn it was all a tax-dodge. A feet of strangeness unsurpassed until, Frankie Howard produced an album of ‘House Music’. *He eventually made 4 albums including the cash in-tasticly titled ‘Open Channel-D’. That was absolutely wonderfull I had completely forgotten that,unlike alas,the toothbrushes, but it comes back as clear as yesterday. .Which programmes did they used to play that on? Family Favourites? I can remember, at the end, being so embarrassed by those apparently drunk adults. Ah, Spike Jones & his City Slickers. Turned me on the classical music..
Wasn’t finished… Turned me on to classical music. Anyone remember: “Beetlebomb!”? The race horse who came in last? Had a grandmother who was sitting us one time, who heard us kids playing a Spike Jones record on my Father’s newish record player when she stormed into the living room, said we were breaking her son’s expensive machine, and sent us all to bed. Father who liked Jones, too, was appalled the next morning. The narrator on The William Tell Overture as re-imagined by Spike Jones is Sigourney Weaver’s uncle.